Key Solutions works in partnership with the leading voice providers to offer tailored, cost saving call and lines packages to meet you particular needs. Single lines for fax, modems and individual handsets. Muliti lines can be used for muliple users wanting to use the same number. Send voice, video and data over phone lines for 2-8 lines/users. 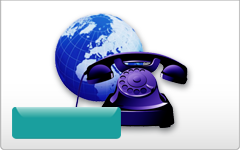 > Individual Direct Dial In (DDI) numbers for your staff. Send voice, video and data over phone wires for more than 8 lines/users.